You went to meet some friends and it started raining or its cold outside? 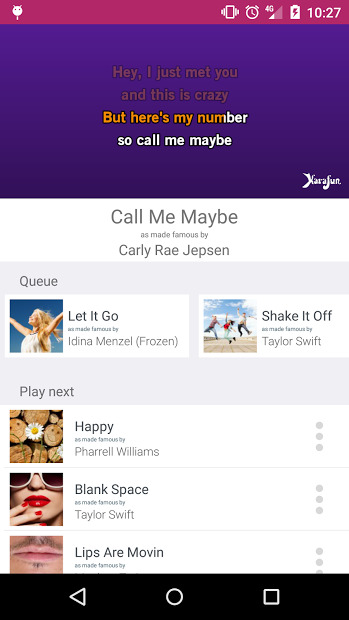 This app is the ultimate karaoke experience in your pocket! 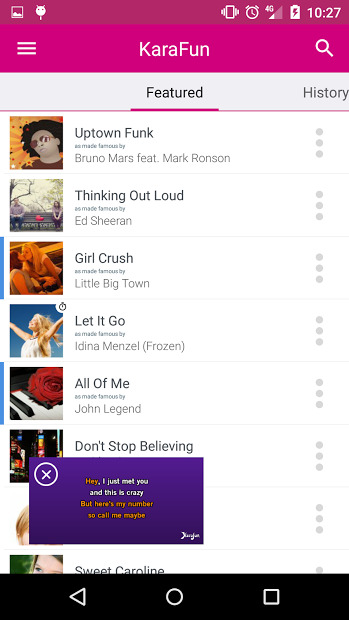 KaraFun gives you access to thousands of karaoke songs and unique features, including pitch and tempo control, offline sync, and ability to remove lead and backing vocals. It is great to start singing at any moment, anywhere! Note: Free version gives you 30 second previews of each track. You must get the Premium version to enjoy unlimited access. Connect it to your Chromecast, to enable a big screen for the lyrics.